I’m a big fan of organically produced fruit and vegetables but can’t afford the hefty tag prices all the time in the Netherlands. 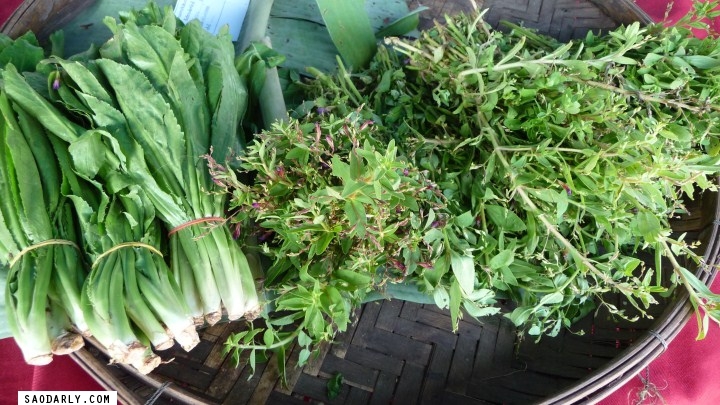 If I was living in Laos, then I would be doing most of my grocery shopping at the Vientiane Organic Market. This is where one can buy fresh fruits and vegetables and other organically products on Wednesday and Saturday mornings at That Luang esplanade. The market opens early from 6:00 AM to noon but come early because it’s quite popular. If you come after 9:00 AM, then there might not be much left for you to choose.